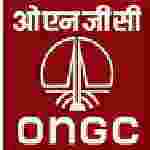 Gujarat ONGC Field Medical officer recruitment 2016 apply for 5 posts : Oil and Natural Gas Corporation Limited (ONGC), Dehradun invites application for the Job of 05 General Duty Medical Officer, Field Medical Officer & Medical Officer . Applicants may appear walk – in – interview 23rd& 24th June 2016.Candidates who completed their MBBS/ BHMS is a good opportunity.The individuals who are the occupation seekers searching for govt employments in Gujarat this is the best chance to apply. Competitors read the official notification then read all the guidelines and miners precisely then apply before the last date online application got. Candidates Age Limit: The age of the candidate will be according to rules and regulation of ONGC organization. Academic qualification details: Candidates should have MBBS / B.H.M.S degree from recognized university / institutions with one year experience. Academic qualification details: Candidates should have MBBS degree from recognized university / institutions with one year internship and valid permanent registration certificate. Process of section for the job: The selection of the candidates will be on the basis of walk – in – interview will be held at ONGC Officers club, ONGC Colony, Phase – I, Magdalla, Surat. Process of applying for the job: Candidates may appear walk – in – interview in prescribed application form along with one set of self – attested photocopies of certificates, Photo proof ID proof and two recent passport size photograph & original documents at the time of interview.